Tiffany Giacchino and John Freudenberg have one newborn daughter. Tiffany is a social worker and John works as a painter. He is a veteran of the U.S. Army who served in Afghanistan. Yaneth Alba Munoz has one daughter (age 17). She is a medical assistant. Lourdes Perez has one son (age 10) and one daughter (age 11). She works as a home health aide. Orquidea Pappa and Gerson Saenz have two children (ages 3 years and 3 months). Orquidea has several jobs—as a cleaner, for a church and also for a small company. Gerson does construction and handyman work. Three new single-family homes will be built and one existing home will be renovated on this picturesque lot on Randall Avenue in Mine Hill. Architect Seth A. Leeb, AIA, has designed several prototype house plans for this project. Using the same square footage, each home can be built with a different layout to include 2, 3 or 4 bedrooms, depending on the number of people in the homeowner family. One new home will be a Cape Cod with 3 bedrooms and 2 bathrooms. The other two will be ranches with 2 bedrooms and 1 bathroom. All of the homes will have a basement; some of the bedrooms may be located in the basement. The renovated home will have 3 bedrooms and 1 bathroom. 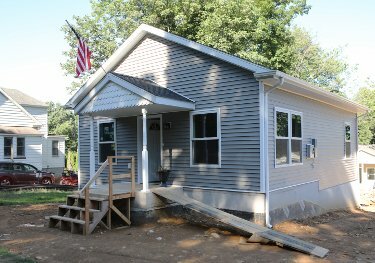 The three new houses will be accessible and handicapped-adaptable. All four homes will be ENERGY STAR certified for energy efficiency. Green or reusable building materials will be used whenever feasible. 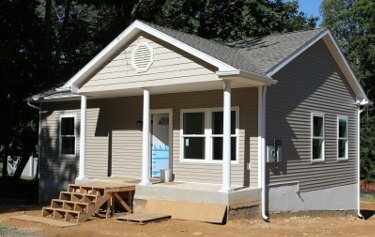 The three new homes will be all electric, but the rehabbed home will probably use natural gas. The homes will have a public water supply and individual septic systems. They will be hooked up to public sewer lines when Mine Hill installs them in the next few years. Each home price will be based on low or moderate household income level and number of bedrooms and will range between $135,000 and $165,000. Affordable 30-year fixed-rate mortgages will be held by Morris Habitat. 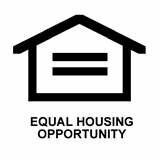 The homes will have a 30-year deed restriction that allows modest equity upon resale, but mandates that they be sold at an affordable price to other income-eligible families. Prospective homeowner families will each contribute a minimum of 300 hours of sweat equity. Four homeowner families were chosen by lottery in November 2017 from qualified applicants who attended one of the Program Information Meetings. The property was generously donated by David and Sherry Lenox, after being owned by the Lenox family for several generations. 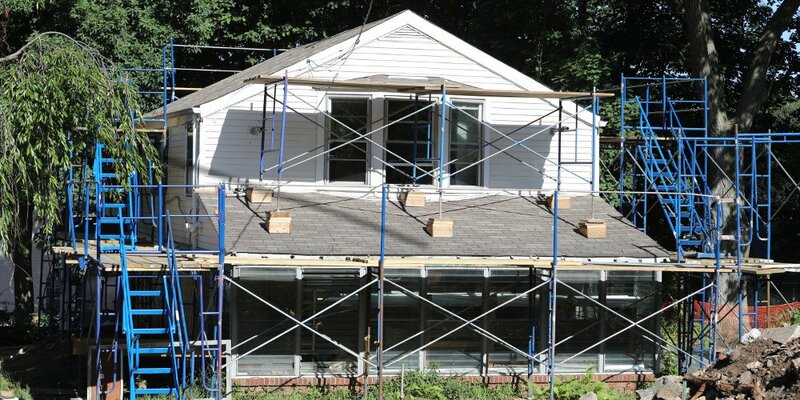 Their home, built in the 1940s, is the home that will be renovated. A second home on the site is uninhabitable and will be demolished. The property will be subdivided into 4 separate lots. Two lots will front on Randall Avenue and two lots will be along the rear property line. The two front lots will each have separate driveways. The two rear lots are flag lots and will share a driveway and each have their own parking area. The estimated cost of the project is approximately $750,000. Many thanks go to our first Home Sponsor Valley Bank for contributing both money and volunteer labor. Other Blitz Build sponsors are Metropolitan Builders & Contractors Association of New Jersey, ADP, Lakeland Bank, GAF, New Jersey Natural Gas and Wells Fargo. 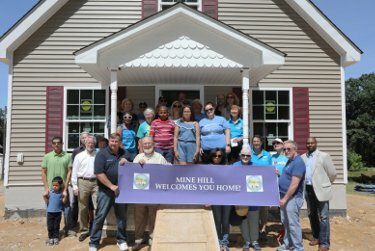 Additional support for this project includes funds from the Mine Hill Affordable Housing Trust. Preparation work started in October 2017 when Bayer employees held a mini Hammer for Heroes event in the parking lot of their headquarters in Whippany. By the end of the day, they had completed framing for the first story of one house. More framing was assembled at Beyer Ford in Morristown during “WDHA’s Hammer for Heroes” on two days in May 2018. During the summer and fall, the original Lenox family home was renovated. Septic systems were installed and landscaping was done. You can sign up ahead of time, or you can show up at the work site any day you are available. Just check the online Volunteer Calendar to confirm that the site is open, and head out with a signed Release and Waiver form. Any weather-related closures will be posted by 7:00 a.m.